Help Center GroupsHow do I delete a group? 1. Click on the gear icon to the right of the group name in the groups browser. 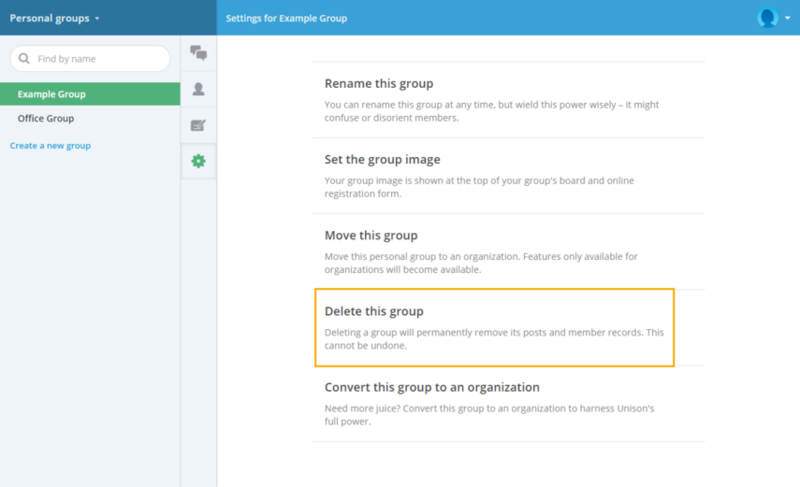 Note: Prior to deleting a group, you may want to export all of the group members and any information collected from them in the members pane. Prev: How do I change my group name?